Ganesh Himal lies in the central Nepal and towards the northwest of Kathmandu. The trek to Ganesh Himal takes you through the terraced hillsides along with various ethnic groups whose traditional lifestyle can provide the travelers with an opportunity to get in touch of the rural village in Nepal. The trek is full of panoramic views of Ganesh Himal I, II and II and encountering various cultures and traditions of the rural Nepal. Ganesh Himal is named after the mythical elephant-headed Hindu god, Ganesh. The trek starts in Dhunche which is one of the oldest routes used for the trek. An alternative route starts from Trisuli and ending in Syabrubesi. Less tourist travel in this region making is a perfect getaway. Enjoy the lush vegetation as you trek along the panoramic views of Himalayas. Experience traditional lifestyle of people in the rural settings. Today is a spare day in case of flight cancellation due to weather in Jomsom / Pokhara. If you have reached Kathmandu then you do have an option to do a short sightseeing tour in and around Kathmandu at the World Heritage sights. Or if you wish you can also walk down the streets of Thamel, shopping area and buy souvenirs for your friends and relatives. We will be leaving Kathmandu in the early morning for Syabrubesi by bus, a village which is a starting point for treks into the Langtang valley. We will move via Trisuli bazar to Dhunche. We will witness the magnificent scene of various mountains which includes a range of Manaslu, Ganesh Himal, and other minor peaks are visible from Kakani. The way goes uphill and downhill on the bus. As the weather changes, so do the culture and the people as well. On the arrival at the Dhunche, this is the major town of the Langtang area of Rasuwa district. We will also be encountering the Headquarter of the Langtang National park office. The trail follows the road to Syabrubesi, crosses the Bhote Kosi and heads upstream by a path that seems to get washed out every monsoon. Then it enters the Chilime Khola Valley. The trail reaches the confluence of the Chilime and the Brindong Khola. The valley has extensive terracing and is agricultural prosperous, inhabited by Tamangs. The trail steeply climbs through terraced hillsides to Gatlang passing mani-walls. The trail enters into forests, reaches Yuri Kharka, a small clearing, and continues through forests climbing steeply to a notch, the Kurpadanda Bhanjyang (3740m). From the ridge, there are fine views of Annapurna and Langtang. The path goes along the crest, traverses a steep hillside and descends into the pine forest to Somdang. Hike around towards Ganesh Himal. 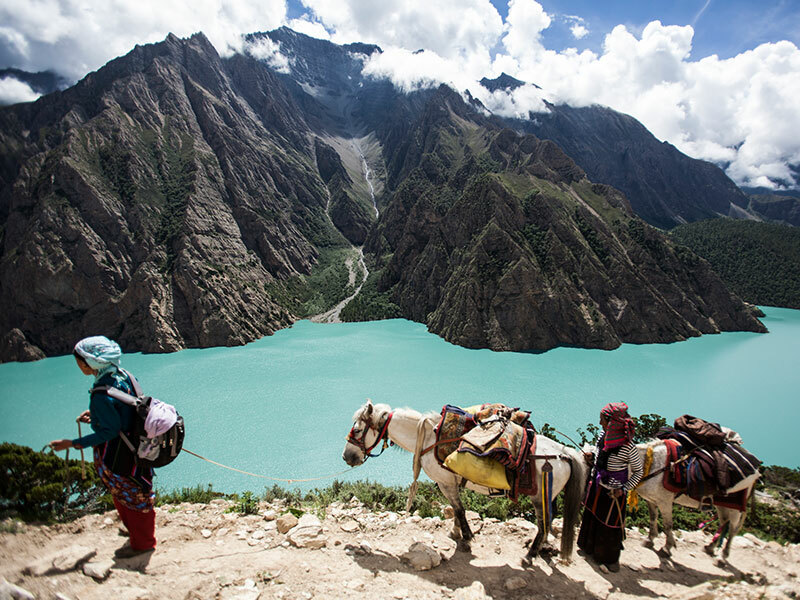 The trail ascends through yak pastures the Pangsang La (3800m). From the pass, there are fine views of Langtang, Manaslu and Ganesh Himal. The trail descends towards the Bhahil Khola, crosses it for reaching Chalise. The trail climbs through rice terrace fields up to a pass, makes a descent then climbs again steeply to the camp. The trail starts by a descent then climbs up a ridge through rhododendron forests. The trail ascends up to the pass where there are fine views of Ganesh Himal. Back to Chalise by the same way. 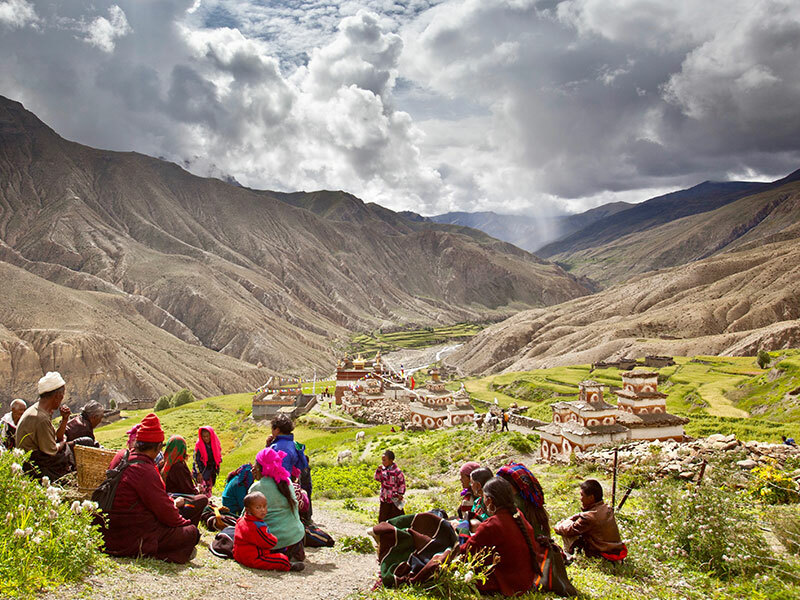 The trail goes through an intensive terraced fields area, ascends to a stupa at 1700m, crosses an impetuous stream and reaches our camp alongside a river. We leave the Ganesh Himal behind us, crossing several Tamang villages. The trail makes a gentle ascent than a long descent to the Brug Donji Khola before reclimbing to Kuri. The trail goes towards the Trisuli, climbing the last pass which provides the last views of Ganesh Himal and Annapurnas. A long descent towards Trisuli where we will have lunch. After lunch, we visit Trisuli Bazar, the dam. We will return to the capital for one last taste of Kathmandu city life via bus. Depending on your flight time you will be transferred to the airport. The airport checks in is 3 hours prior to the departure time and the hotel checkout time is 12 PM. 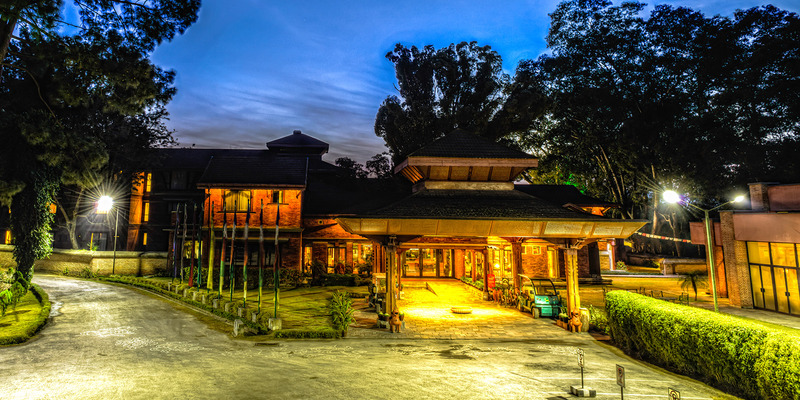 This tour spends four nights in a hotel in Kathmandu, fourteen nights on trek in lodges (tea houses) and two nights on trek full-service camping. In Kathmandu we usually stay at the Hotel Royal Singi, located within walking distance of the Thamel district. All rooms have en suite facilities and there is a restaurant, a bar and an outdoor courtyard. There is an Exodus desk in the hotel reception area and an Exodus representative will usually be available daily in the mornings and evenings. On the trek we will stay in tea houses for the most part. Some days there may be no tea house at lunchtimes – on these days we carry a packed lunch. The tea houses are basic but adequate please be realistic about what to expect in the mountains. 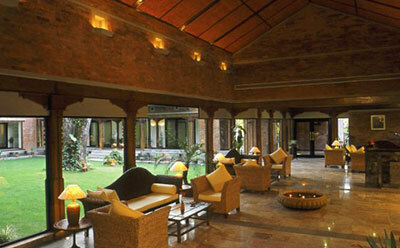 We ask that you read our Nepal Destination Guide for further details about the lodge facilities. Day 7 : Rest day at Somdang. Day 13 : Rest day at Deurali.